Richley Contractors - Builder, Carpenter, Lofts/Loft Ladders based in Brighton, East Sussex. 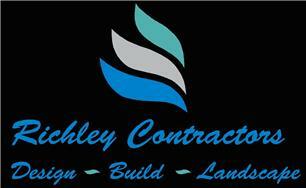 Richley contractors is a local family run company, based in Brighton and covering East and West Sussex. We have been in the building industry for over 25 years and pride ourselves in providing excellent customer service and ensuring that the customers vision comes to life. As general carpenters and builders we can help in all aspects of your property work, from initial design conception, construction of your new extension or loft conversion, to general carpentry and loft ladders. We can even provide garden decking, patios, fencing and garden buildings. Check out our website for more detailed information or call us today to arrange your free no obligation quotation.